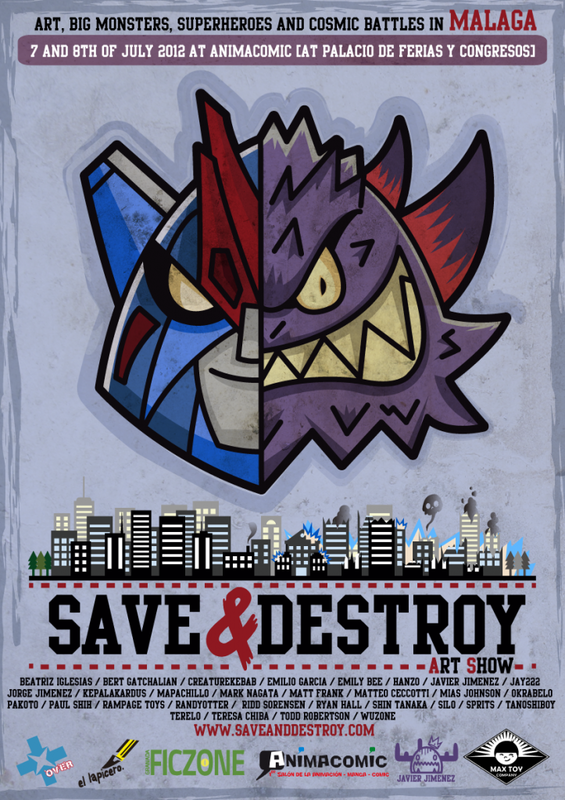 "SAVE&DESTROY Art Show II Edition 7 y 8th of July at Animacómic in MÁLAGA. 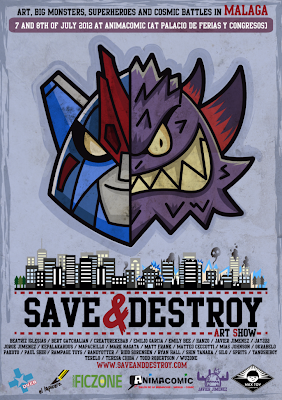 (Spain) After the great success of the first SAVE&DESTROY Art Show, we’re bringing the original exhibition to Animacomic in the city of Malaga with a ton of new things! We have new awesome artists contributing, such as Mark Nagata, Emilio Garcia, Todd Robertson and many more. There will be vinyl kaiju toys, art toys of all kinds and also illustration, this time with the more than the double amount of artworks to enjoy. You will also be able to take a look at some of our sponsor Max Toy Co‘s products and take a flyer with info on their toys! If you’re a fan of monster movies and Japanese superheroes series, or you simply love art, you can’t miss it!"